Food ordering has come a long way since the days of calling your local pizza chain. The internet has created opportunities in online ordering for most restaurant categories, and these days, everything from salads to smoothies is just a click away. So, what do your customers like so much about communicating directly? But that doesn’t mean all online ordering is equal. With several options now at their disposal, customers can afford to be choosy about where they order. And with so many means of ordering – mobile apps, restaurant websites, third-party providers – competing for attention and dollars, restaurants must discern what buyers prefer and how to implement cost-effective solutions. Tillster research has found that the best way to serve your customers is by allowing them to order directly from you. This may seem counterintuitive to some managers. If a restaurant is new to mobile ordering (or has experience but hopes to expand its footprint), the easiest way forward might seem to be a third-party app. After all, turning over the work to someone else is an appealing idea. However, keep in mind that you’re also turning over your own brand and experience. While there is a time and place for third-party apps – which can help restaurants acquire new customers, for example – your own ordering websites and apps help you earn actionable data and insights. They also allow customers to connect directly with you and learn more about your brand. In fact, Tillster’s Digital Ordering Index, which examines how ordering technologies influence customers’ purchasing behavior, revealed that over 60 percent of customers prefer restaurant-branded websites and apps. What’s more, only five percent of Quick-Service Restaurant (QSR) customers and eight percent of Fast-Casual and Casual dining customers prefer ordering from a third-party site. So what do your customers like so much about communicating directly with you? When you allow customers to order through your own site, you give them more than just ordering power – you place your whole restaurant at their fingertips. That makes life easier for them, and it builds their loyalty to you in turn. For example, a third-party ordering site might give hungry customers few options beyond browsing your menu and placing an order. But when diners order through your own property, you allow them to explore your brand. And, it’s easy to funnel customers toward other ordering options (brunch, anyone?) they might enjoy. Using your own website or app allows you to maintain a distinctive brand voice, as well as present your menu in a format customers know and recognize. Channeling orders through your own properties also makes it easier for customers to recall past orders and use one-touch reordering options. Because your customers want to feel you’re speaking directly to them, third-party companies’ ordering functions are not always suited to every restaurant’s needs. An ordering site that deals with dozens of restaurants, for example, may treat all customers the same, not make your returning visitors feel special. But a restaurant branded website or app will keep customers where you want them, as well as track order preferences and allow you to tailor experiences for the people you want to reach. Personalization can extend beyond the bounds of your website experience, too. More than 70 percent of QSR and Casual dining customers would provide their email addresses to receive personalized offers, and what’s more, email remains the preferred method of communication from restaurants among both QSR diners and Casual diners. Customers want to hear from you, not navigate a separate website in order to find little more than your menu. Tillster research shows that on average, customers order multiple times a month from the same QSR and Fast Casual restaurant. They’re coming back to you for more, and they want you to take notice. So now what? Remind them you care about their business. Through your own digital properties, you can offer loyalty programs that make customers feel valued and keep them interested. Eighty-five percent of both QSR and Casual dining customers reported to Tillster that a loyalty program would inspire them to visit more. Your own properties are key to increasing loyalty, collecting insights, and building your customer base. They allow you to tailor your digital ordering experiences in ways that meet customer needs. No matter which customers you’re trying to reach, the best way to show you’ve invested in them is to give them the personalized digital experiences they crave. 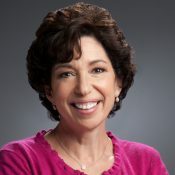 As the Chief Marketing Officer of Tillster, Hope Neiman executes integrated marketing campaigns and strategic partnerships that have driven restaurant sales and increased consumer brand loyalty. Her contributions have empowered restaurants to engage customers in new ways, such as personalized messaging and custom loyalty and rewards programs.